First-squeeze olive oil from Spain with a fruity taste and fragrance. Will lend a rich flavor to salads, marinades, pasta dishes, stir-fries, and other foods. Olive oil can be used in the process of cooking, or it can be added lightly to salads or pastas as a seasoning before they are served. It can also be used to make side dishes such as garlic bread! Seasonings such as oils can be a crucial part of a meal, turning plain food into a delicious experience. After all, sometimes we only think we don’t like certain foods because we haven’t tried them with the right seasoning! Sugarlady’s extra virgin olive oil and other seasoning products are safe and free of chemical seasonings and additives, letting the true, natural flavors of the ingredients themselves shine – and allowing you to enjoy your meal without worry. For reference: 1: Extra virgin olive oil is the first pressing of high-quality fruits. 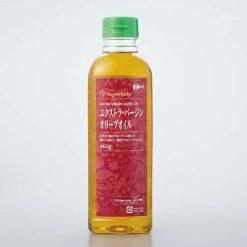 2: Pure olive oil is extra virgin olive oil blended with refined olive oil. 3: Refined olive oil is pressed olive oil that has gone through processes such as decolorization and deodorization. Because it contains the components of the olives used in making the oil, these components may separate and murkiness or settling may be seen. At low temperatures, the olive oil may become cloudy or start to solidify, but will re-liquify if warmed to 25-30 degrees Celsius. 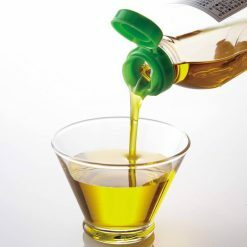 Components of the olives used in making the oil may separate, and you may see murkiness or settling in the bottle; however, these things do not affect the quality of the oil. This product contains olive cooking oil.. Origin of ingredients, prepared and packaged in Spain.